A vegan internet personality has been forced to resign from the company he founded after confessing to having eaten eggs and salmon. Free-running world champion Timothy Shieff posted a YouTube video explaining how he had eaten the eggs and salmon at a farm while embarking on a ’35-day water-only fast’. Prior to this change in diet, Timothy had pursued a vegan lifestyle since 2012, due to health reasons as well as ethical considerations. Speaking out through his YouTube channel, which has focused on issues of healing over the last few years, Timothy explained how he had recently felt ‘uncomfortable’ within his own body. 30-year-old Timothy had suffered from cracking joints and a feeling of stiffness in his body when awakening, leaving him feeling ‘desperate’ to regain his health. The athlete attempted a variety of methods, such as practicing a raw vegan diet, undergoing urine therapy, and trying a 35-day water fast – where he only consumed distilled water – but to no avail. So I went to Bays Farm down the road and bought a couple of eggs. I see the chickens running around, completely free chickens not just some supermarket thing, like really free. And I had a couple of raw eggs and I felt better. I did feel better. And I don’t know why because you hear all these stats, you watch Dr. Greger videos about animal products and the damage…[and how they are] worse than smoking cigarettes, but for some reason it made me feel better. It sent me questioning everything. A few days later I bought some wild caught salmon and tried that…I wanted to speak, and I wanted to share this stuff but at the same time I think I’m still allowed my own space to try things…desperation led me to try that. There’s so much more to health and healing, and health and the diet than nutrition. There’s so much emotional involvement and other things as well. But I wanted to be honest and share that…I’ve come back to veganism, I just want to say sorry to the community. Timothy’s confession led to divided opinion and debate among his subscribers, many of whom are passionate about following the vegan lifestyle. Some were sympathetic to Timothy’s health issues and respected his choice. However, others were left feeling appalled by his decision to eat animal products, with some describing his confession as ‘disappointing’. 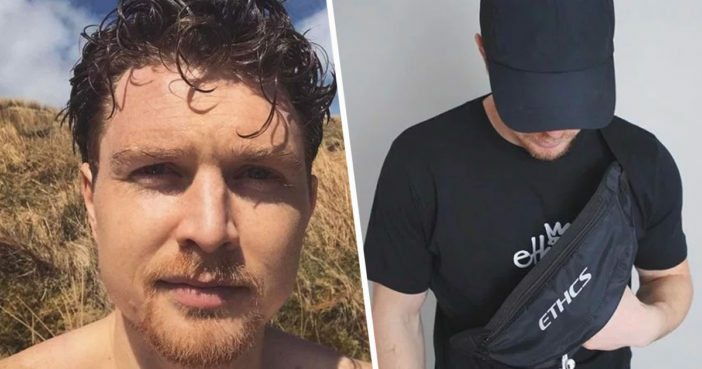 Timothy founded vegan clothing company ETHCS three years ago, but has now been forced to leave the company following his confession, Metro reports. For a long time Tim had been an inspirational example for veganism, as well as a good friend who has inspired us all, but this lifestyle change was something none of us could get on board with. We have all been proud vegans for many years, and promoting the vegan message and ethical lifestyle choices was very important to us all. Considering ETHCS was founded on these same principles, we all agreed it would be best if Tim stepped away from the company. And in time Tim agreed too. Hopefully Timothy will figure out the right path for his health and his career going forward.